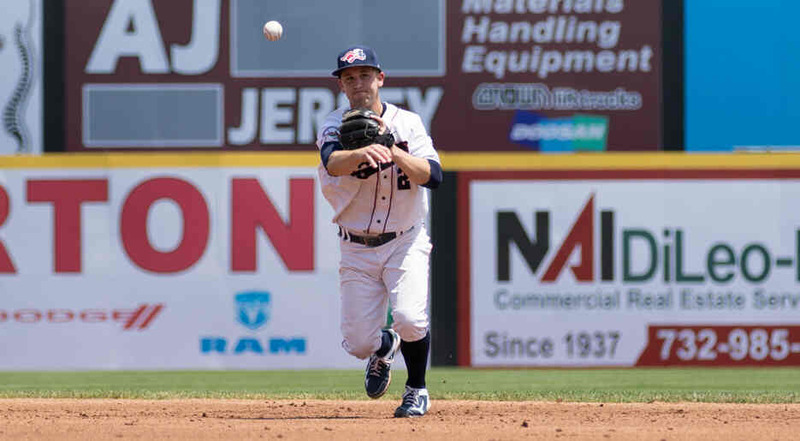 When attending a Somerset Patriots baseball game, it is obvious that the most popular player is infielder Scott Kelly. This local kid is known for his hustle, enthusiasm, but perhaps mostly for the fact that he overcame long odds when he made the team as a walk-on through the open tryouts. 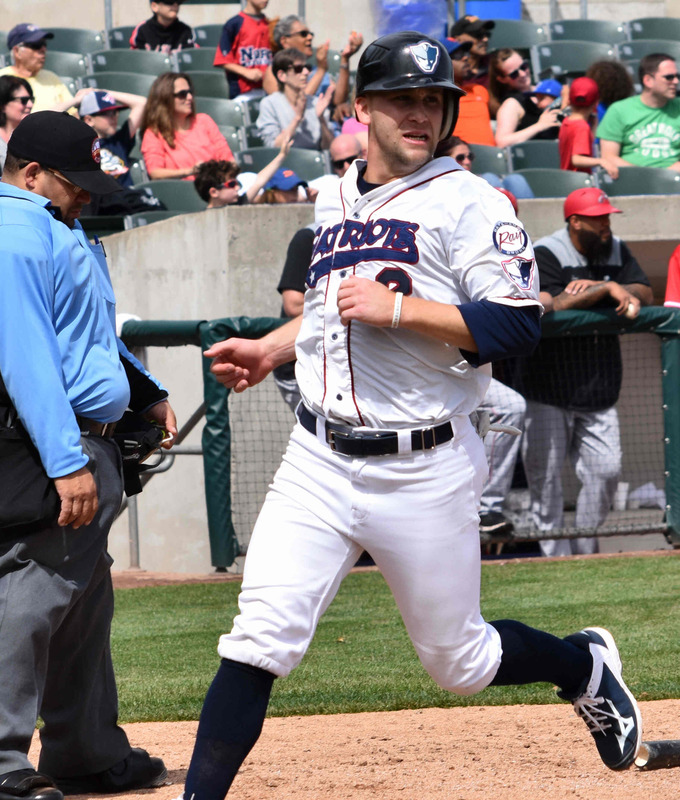 When this author first set out to interview Scott Kelly I was not sure if a busy player would be available as minor league teams play a game almost every day. I send an email through a contact and I am pleased that in no time a VP responds saying that Scott Kelly would be available on Friday at 2:15 PM. I arrive at the stadium that day and ask for the VP at the box office. I am pleased to be greeted enthusiastically. The VP escorts me to dugout and says that Scott Kelly will be out in a few minutes. Having been to many games at the ballpark it is interesting to see the ballpark empty. Sitting in the dugout I realize that this is a great place for the interview. When Scott arrives he is genuinely enthused to talk to me. My worries that I would be a bother to a player who was getting ready for a game are gone. Scott Kelly comes from West Windsor, New Jersey. He attended TCNJ where he was a star baseball player batting .345 and. 346 in his last two years. 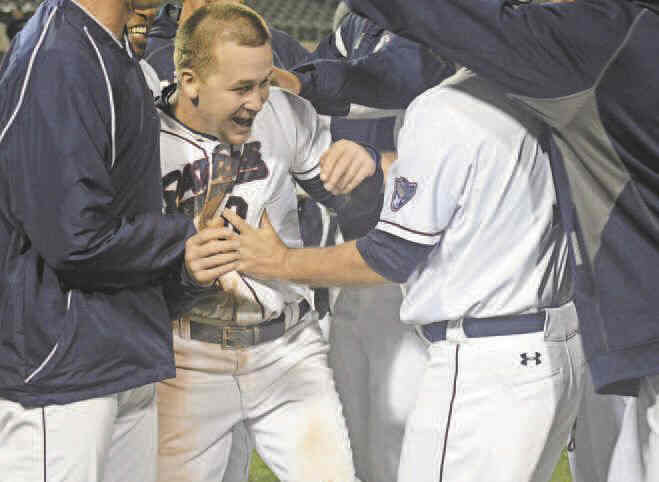 There he set the school record for most lifetime stolen bases with 98 and most at-bats with 663. He is second in runs scored and fourth in games played. I start out the interview by asking Scott about the tryout. I recall that former Patriots radio announcer Justin Antweil often mentioned that Scott Kelly was a “walk on” who had paid $40 to tryout. But I did not know much more than that. Scott explains that the Open Tryout was just one three-hour session with 50 guys trying out. He realized going into the tryout that he might have five ground balls hit to him, he might get eight swings at the plate, and be clocked in the 60 yard dash. He calculated his total tryout time would come to just about one minute of action. He literally had to make the most of every second. That day he indeed made the most of it and he was selected to attend spring training. That did not mean that he made the team. “Spring Training” had 35 guys competing for 25 spots. 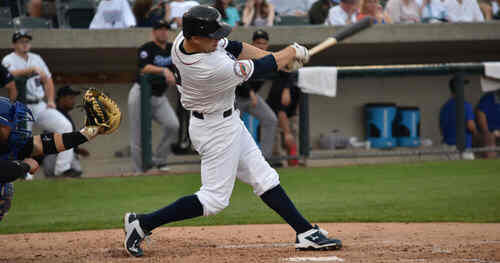 Most of the other players had minor league experience while Scott up to that time had only played college ball. 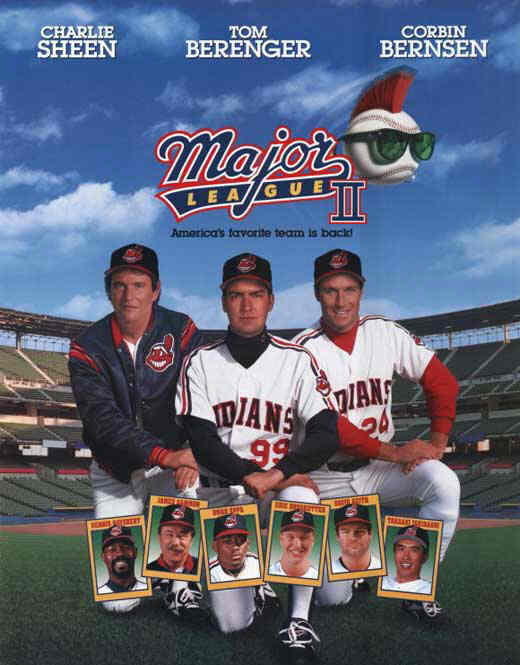 Scott recalled that one person in management had informed him that while he had earned a spot in spring training he had very little chance of making the team. 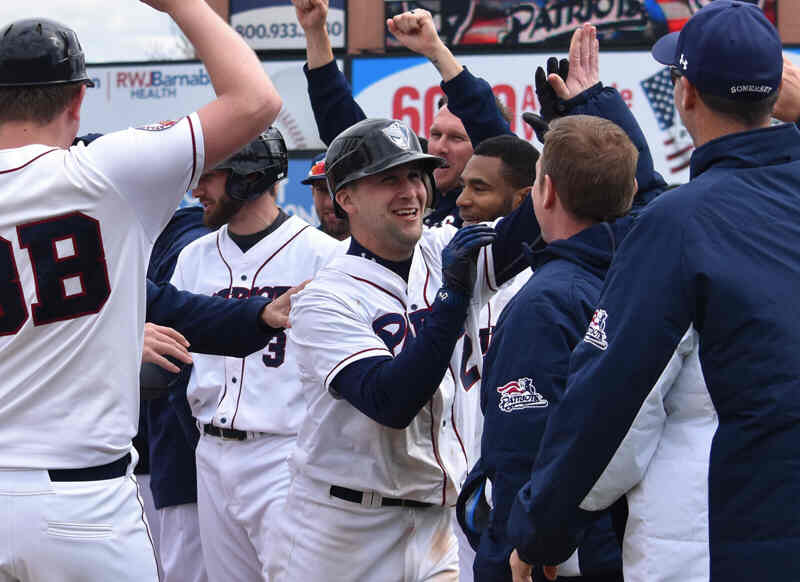 But this did not deter him – he gave it his all - and when the final roster was announced he had earned a spot on the Somerset Patriots Baseball Team. The local kid caught the attention of the fans right away. Scott did not disappoint them. His hustle and speed on the base paths showed his passion for the game. At first he saw limited action, but eventually he worked his way into the starting lineup. The cheers when he came to bat where evident each time. When asked - what is the most common thing the fans ask? He states that the fans ask for autographed baseballs and bats – so he gets them whenever he can. Throughout our talk I can see that Scott Kelly is living the dream. But he keeps it all in perspective saying “at the end of day everything is about the fans and the kids. That is what you play for. They give you the energy to play”. He states that when he had an operation to have a rib removed two years ago that the support from the fans and teammates was incredible. Scott meets with fans quite often as he works with the Somerset County program “Hit a Home Run”. 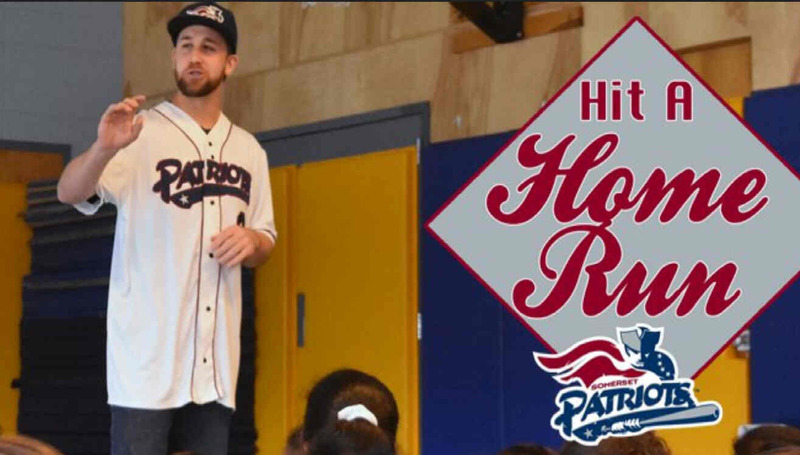 Here he puts the teaching degree that he earned at TCNJ to use as he meets with kids at the local schools to explain the four steps of the “Hit a Home Run” program. They are eat healthy, exercise, make smart choices, and be a good teammate. When asked about manager Brett Jodie – Scott says that he is great from the mental side of things. Brett has given him a lot of useful advice. One thing in particular is that Brett tells the players is not to forget that one day no one is going to want your autograph. So take the time now to make yourself available to the fans. Scott says that Brett calls him “206” as that is the number he had during the tryout. 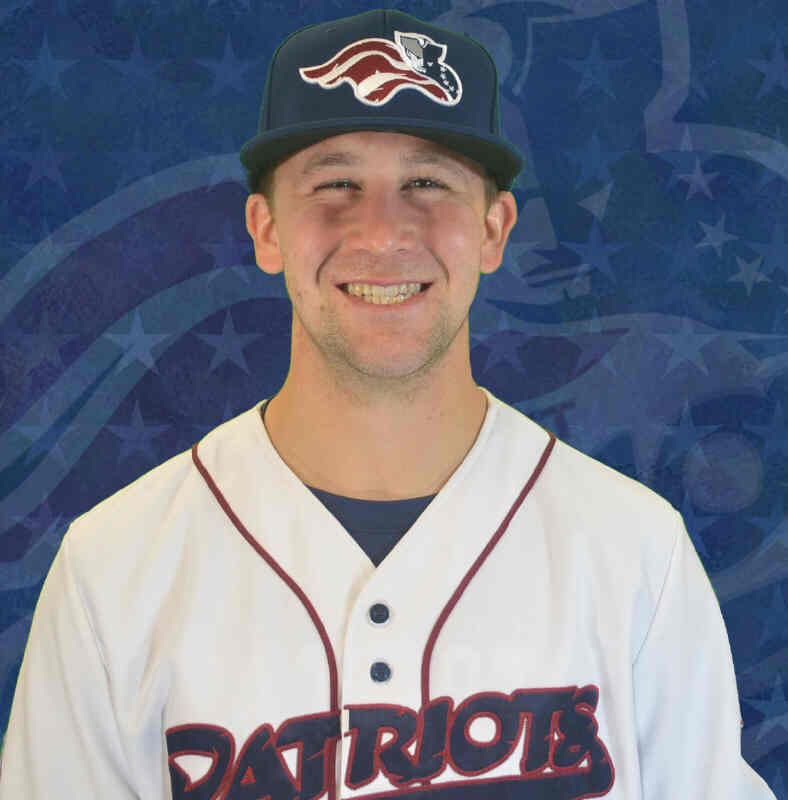 I ask him are the players content to just enjoy playing minor league baseball, or does everyone have a burning desire to move up to the majors? Without hesitation he says that everyone has a burning desire to move up. But you still need to appreciate where you are. Many of his teammates have been to the big leagues and they all have stories to tell. When I ask him what his favorite baseball movie is he says that he has seen most of them, but mentions “Bull Durham”, “Major League”, and “The Sandlot” as favorites. He goes on to say that he can quote many of the lines from the baseball movies. I ask about the Patriots organization. He says that it is an amazing organization. It has changed his life – helping him to be a better person. That is due to the positive attitudes and energy of the people inside the clubhouse. He went on to say that Somerset is one of the best places to play baseball. 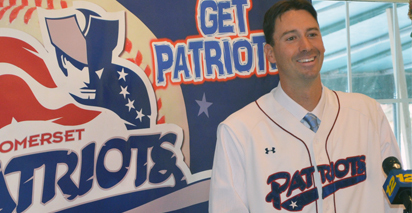 Scott Kelly is in his fifth year with the Somerset Patriots. He has played in 351 games, batting .248. He has stolen 91 bases which puts him third on the Patriots all-time list. But beyond the numbers he is an inspiration.